WBJ photo by Joanne Lawton. 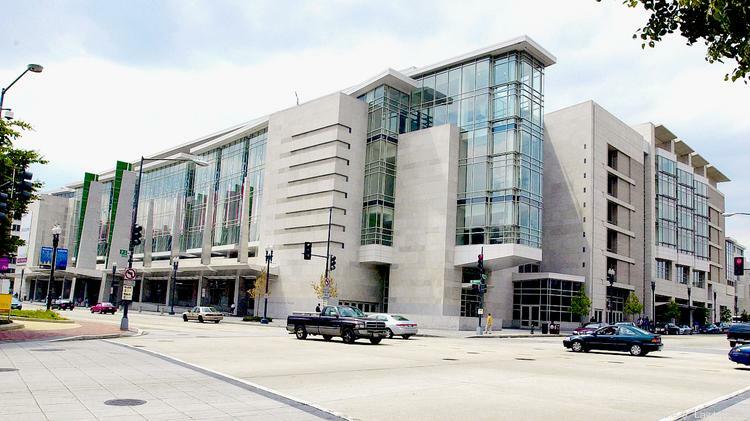 The Washington Business Journal reports ("Convention center tries to lease its retail space yet again") that the Convention Center is aiming to fix its retail. Granted the retail spaces within the building are a different issue from 9th and 7th Streets. “We want to be able to connect Shaw and U Street all the way down to New York Avenue,” Brown said. “Right now it’s just sort of a gray-facade block, but we want to make it an exciting looking place.” Brown expects the work on the building’s exterior and streetscape to begin in the next 12 months. He hopes Events D.C. will be announcing its first new retail and restaurant tenants before that, perhaps this fall. It’s not the group’s first attempt to lease its retail space. Many of the storefronts in the convention center have been empty since it opened in 2003. Old Dominion Brewhouse was there for several years, but closed last fall. In March, the convention center announced that Sbarro has leased space there; it is currently the center's only retail tenant. The point of criticism is to bring about success. Too often, people focus on being criticized and not the message. There are five primary reasons for the failure. 1. The center was not built to be permeable on its west (9th Street) and east (7th Street) elevations. 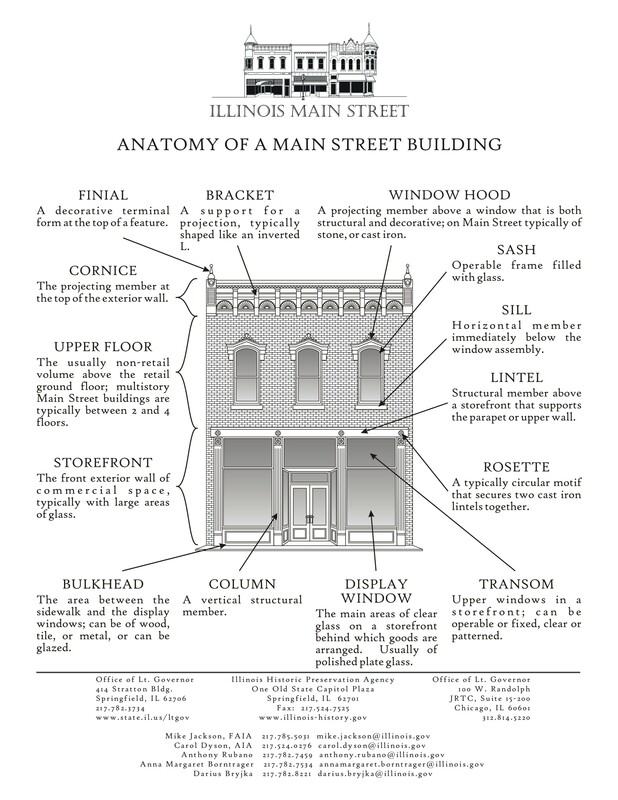 For the most part, entry occurs on the north and/or south sides of the building at K and L Streets primarily. 2. Lack of a convention hotel for many years limited positive street activation along 9th Street especially, but also 7th Street. The Washington Marriott Marquis convention center hotel opened in 2014 (pictured at right, photo from Marriott). While I might normally be against public financial support of such facilities, which often don't work out so well (e.g., ">Hilton Baltimore's woes par for course for city-owned hotels," Batlimore Business Journal), the reality is that to better support large events at the convention center, large hotels are necessary. I experienced this first hand with the 2004 American Planning Association national conference in DC. The meeting was spread across two different hotels and the events at the secondary property experienced significantly reduced attendance, even though a shuttle service was provided. While the convention hotel is focused on capturing restaurant and bar consumption from its guests and not sharing their customers with nearby businesses, not everyone limits their activity to on-site consumption, and some of them end up going to establishments nearby or elsewhere in Greater Downtown. 3. The retail spaces within the convention center are poorly designed/subpar/badly situated. And there is a lot of wasted space that could have been used as retail as well. 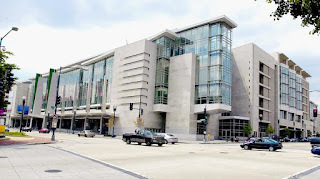 Most provide entry only from the outside of the building, and for the most part, most people enter the Convention Center from K Street, and secondarily from the Metrorail station/L Street. 1200 block 9th Street NW, west side, 2006. 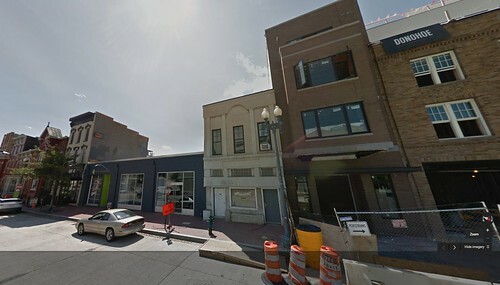 1200 block 9th Street NW, west side, 2014, Google Street View. 4. The Convention Center program didn't include a property and business development investment initiative focused on improving the commercial properties on 7th and 9th Streets in its catchment area. Although it must be acknowledged that in 2003, when the Convention Center, this area was "emerging" at best in terms of the vitality of the commercial properties in those areas. It would have been a stretch, even if the properties had been fixed up, to see--at least back then--the possibility of a thriving commercial district. On the other hand, that a complementary investment program for the neighboring properties wasn't created ordained continued failure of the district. Fortunately, in the past few years 9th Street around the Convention Center has begun to improve as the old Giant Supermarket on O Street has been redeveloped into O Street Market and from development efforts moving west from U Street and retail improvements in response to the addition of apartment and condominium buildings in the area, which has added population. 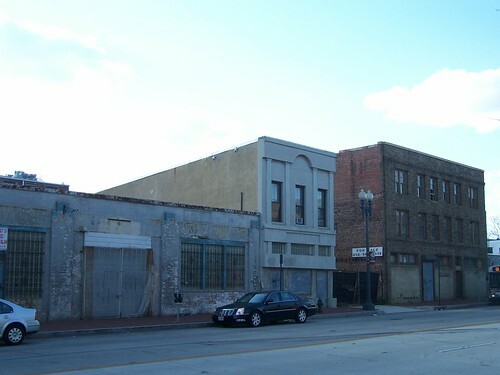 The more recent improvement of 7th and 9th Streets around U Street has little to do with the Convention Center, but has derived from new construction and rehabilitation projects there, which on 7th Street have centered around the Metro station and the fixing and reopening of the Howard Theater. 5. The reality is that for conventions in DC, especially those focused on the federal market, many of the attendees are not visiting from out-of-town, but live in the area, and they aren't interested in spending time or money outside of facility. It's not clear to me that the mistakes are well understood or that the new initiatives will have much positive impact. It's not enough to "merely" build the big project. You've got to take simultaneous steps to ensure that the community outside the lot boundaries of the big project is ready to connect. A classic example is 7th and 9th Streets NW abutting the Convention Center. There is a major disconnect. 7th Street is mostly housing. And 9th Street is mostly bombed out still. Is it a surprise that the Convention Center, which face it, mostly attracts people who stay inside the Center during their time there, leaving little time to patronize the local shops, hasn't jumped started neighborhood improvements? In fact, on 9th Street the retail improvements are happening far to the north of the Convention Center, as if the Convention Center has little impact whatsoever. Although it is true that new housing is being developed around the Convention Center proper, plus eventually the Convention Center Hotel.